Top quality noise control materials are the building blocks of successful industrial insulation noise control projects. Get the job done right using Quiet-Jac™. 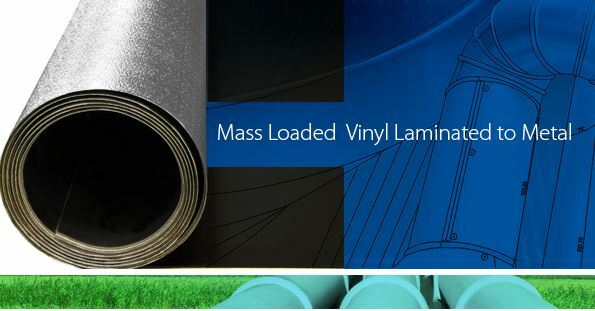 This sound barrier jacketing is a composite of high-quality mass loaded vinyl (MLV) laminated to either aluminum or stainless steel using a viscoelastic film adhesive. Quiet-Jac™ is constructed to diminish the level of sound radiated by mechanical piping and ductwork and is available in rolls or flat sheets. Quiet-Jac™ sound barrier jacketing is available in smooth and stucco embossed, in rolls 36″ wide and 33-1/3′ in length (100 sf/roll). Want to learn more about this product? Contact us today, we’re happy to help.